If you're looking for some great entertainment you can book our characters for a variety of fun-filled performance packages! 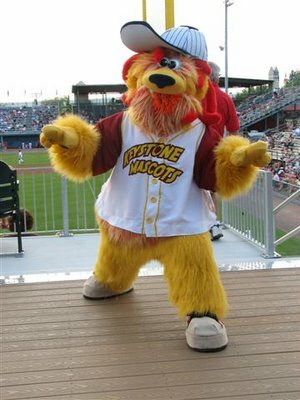 We serve both Central Pennsylvania and nationwide events seeking family-friendly, high quality mascot entertainment. You can find more information on our characters below. Do you have a suit, but no one to fill it? Keystone Mascots has a network of performers throughout the United States and Canada who are looking for gigs. If you need a designated performer to call your own or want to build a team of performers then Keystone Mascots can help. We can conduct a regional search for entertainers. If needed we can also coordinate objective auditions to help you find that full-time, part-time or seasonal performer. We can even organize street performers for you! Contact Events for more information! A good company should always have a loyal mascot. Here at Keystone Mascots we have four! They’re all available for hire to entertain at a function near you. Boomer the Lion is top cat here at Keystone Mascots. He’s been making fans giggle with his electric personality since 2004! When Boomer isn’t hanging out with his fellow furry friends at the ballpark or other events he can be found getting the crowds pumped up for the Lancaster Lightning. 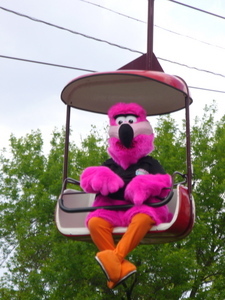 Boomer also helped bring back the legendary Harrisburg Heat professional arena soccer team in 2013 and continues to be a fan favorite at attractions that desire a lion-dog-thingie that he is. 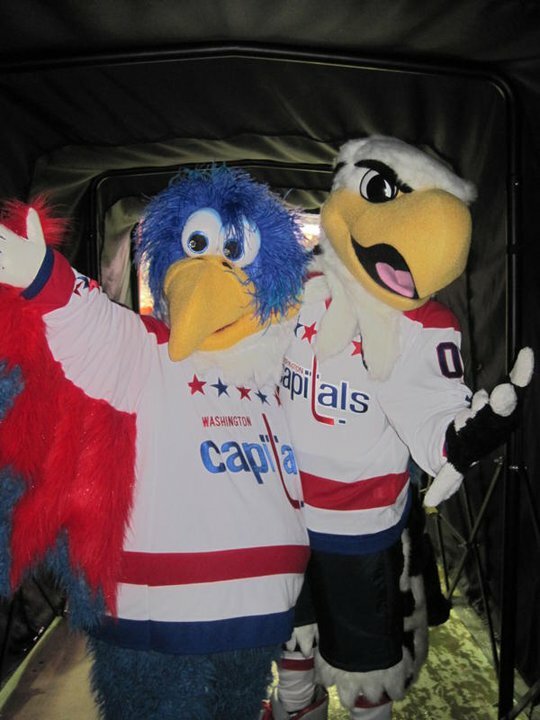 Winger the Eagle was the first mascot for the Washington Capitals. From 1993-1995 he rallied the Red, White and Blue fans until the team introduced a new logo and Winger handed the reins to his brother Slapshot, who has become one of the most dedicated team mascots in NHL history. During his lean years Winger worked as a recruiting agent for mascots and finally got the call to return to the Caps in 2010 for Turn Back the Clock Night. Winger is an avid supporter of the Capitals’ alumni as well as sportsmanship programs throughout the Central Pennsylvania region. He is a perfect addition to any event especially those that have a patriotic or hockey theme to them. 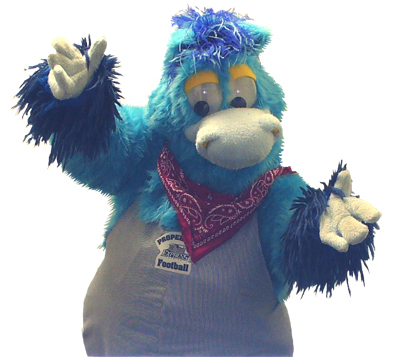 Loco the Iron Horse is the most eccentric member of the Keystone Mascots family. He’s always looking for a fun time to let his party animal side out. Initially employed by the Reading Express indoor football team, he has also whinneyed for the Reading Rockets indoor lacrosse team and the York Capitals indoor football team. Loco still brings his horsing around attitude with him wherever he goes. He especially loves parades where he can trot his style out for all his fans to see. Striker is a character enjoying his retirement in the bowels of the Keystone Mascots studio. 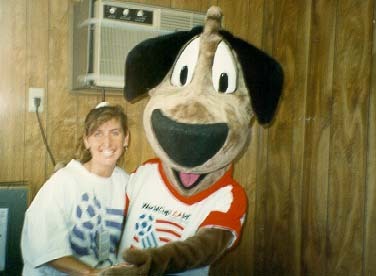 This pup helped to host the 1994 World Cup matches in the United States. Nowadays he barks up a few soccer fields every now and then, including PPL Park for the Philadelphia Union and some youth soccer league events. He doesn’t come out very often, but for those who enjoy some old school mascotting, Striker fits the bill!